If you're looking for a hiking and trekking adventure with a difference then travel to Japan, where a post-hike soak in a hot spring is the norm! 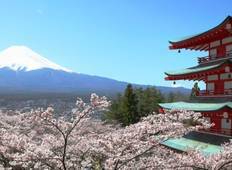 Japan is home to volcanoes, beaches, vast mountainous regions and a fascinating and welcoming culture. Tokyo: Explore the city through its many parks. Kamakura: Walk through the Japanese shogunate ancient capital. Nikko: Relax by Chuzenji Lake or climb up to the Senjogahara Plateau. Okutama: Discover the amazing lakes surrounding this town. Hakone: Hike and soak in the natural hot springs. 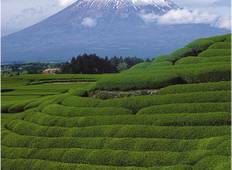 Kyoto: Opt to visit some of Kyoto's beautiful temples and participate in a tea ceremony. Yakushima: Trek the Arakawa trail on mount Miyanoura. Minoh:Hike in the area and reach some a..